Heath is a licensed plumber, drainer and gasfitter with over 15 years of experience. He is a third generation plumber. He completed his apprenticeship under his father, Charlie Britton, an accomplished and experienced plumber. Heath ran his own plumbing business for a number of years, often sub-contracting to Empire Bathrooms. Heath has recently accepted an offer to work for Empire Bathrooms full time. 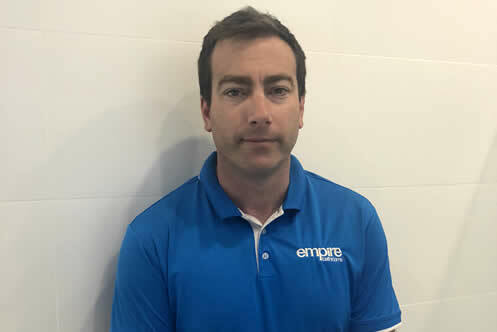 His expertise in bathroom renovations makes him a valuable asset to Empire Bathrooms, as do his quick wit and sense of humour. Not only does Heath complete highly technical work competently, he also puts customers at ease with his friendly, easy going demeanour.